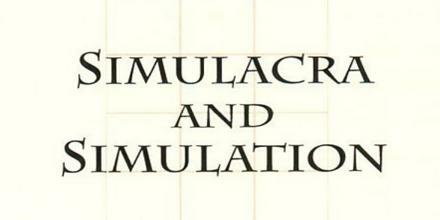 This article talks about Simulacra and Simulation, which is most known for its discussion of symbols, signs, and how they relate to contemporaneity. These terms are crucial to an understanding of the postmodern, to the extent that they address the concept of mass reproduction and reproduceability that characterizes in electronic media culture. Simulacra and Simulation is referring to the way simulacra have come to precede the real in the sense mentioned above, rather than to any succession of historical phases of the image.